Gulf Front - Last Minute Discounts! 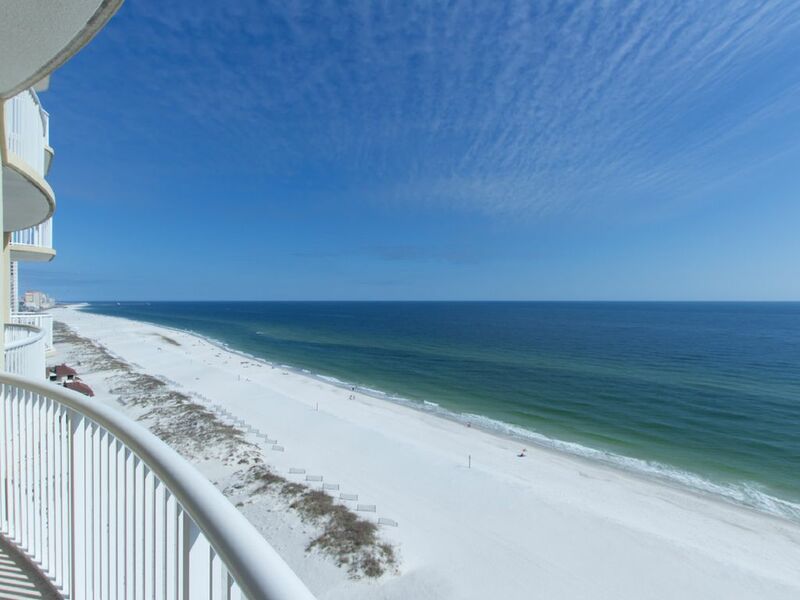 The view is breathtaking from our newer beachfront condo overlooking the Gulf of Mexico from the twelfth floor. Master bedroom has a king bed and the 2nd bedroom has a queen. Fully equipped kitchen. Extra large balcony! Great beach and location! Many restaurants and amusements nearby, or just relax on the beach and watch the dolphins swim by. Take a walk on the beach in the beautiful sugar white sand. Indoor/outdoor pool and hot tub. Holiday weeks have premium pricing, regular and peak weeks are 7 nights minimum saturday to saturday.. Last minute discounts, inquire for price. We had a great week exploring gulf shores and orange beach. The white sugar sand beaches were incredible. During cooler weather we enjoyed the pool, hot tub & sauna. The condo was very clean and offered the best view we’ve experienced on vacation. Great facilities as well! Very close to numerous dining options and shopping. Senior basketball daughters went to beach with their moms to enjoy spring break after a 35-3 basketball season ending in 2019 TSSAA Class A Girls Basketball Champions. We thoroughly relaxed and enjoyed ourselves. The view was wonderful from balcony and easy access to beach. Loved every minute of it!!! The only problem....not enough hot water. Nice place to stay in Gulf Shores. Very nice condo. Nice view from balcony. Very clean and well stocked. Great condo, great location. Extremely easy booking. Loved the condo. Very nice. Enjoyed our stay very much. We loved our experience in golf Shores. Our condo was great we saw dolphins every day right off the balcony. Very nice clean and well stocked condo. Yes I will be back. There is so much to do and places to eat all around us. We really enjoyed the Sunliner diner .